"as above ~ so below"
Over the years of studying and investigating the mystical and magical orders of our world, one of the most interesting things I found was the way in which the tree of life had many versions, and I was inspired to do my own research to see what really is the foundation for this geometric tree of progression between the dimensions. 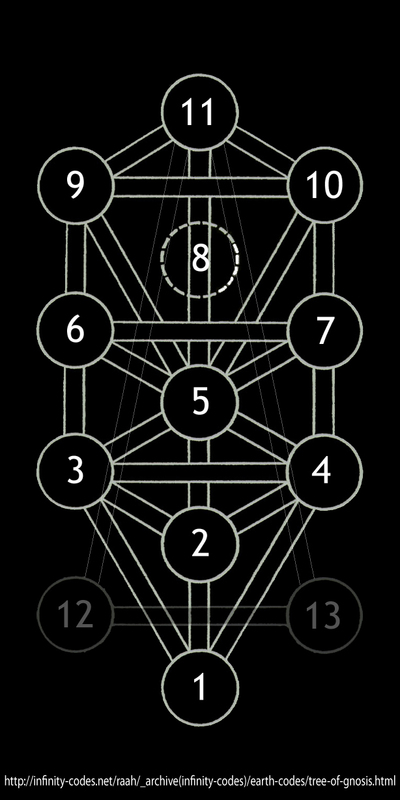 Traditionally called Malkuth in hebrew (earth) is the 1st sphere in my version of the tree, counting from the root, where the tree starts to grow from made more sense to begin with rather than at the top ( of course other versions can have a different purpose ) but as its called the tree of life it should really reflect how nature (life) grows. The spheres have always been related to the planets of our solar system, plus our Moon, and the Sun of course. Earth, Moon, Venus, Mercury, the Sun, Mars, Jupiter, Saturn, Uranus, Neptune, and the Galactic center at the apex. In addtion by counting in this way, there are 11 spheres so far, yet for me the tree was not balanced vertically, from apex to root, and so I decided to include a 12th and 13th sphere. It just so happens that at the position of these spheres, between the Moon and the Earth, it makes perfect sense to place the 12th and 13th spheres here, as every year, there are either 12 of 13 lunations, in a purely lunar "calendar". 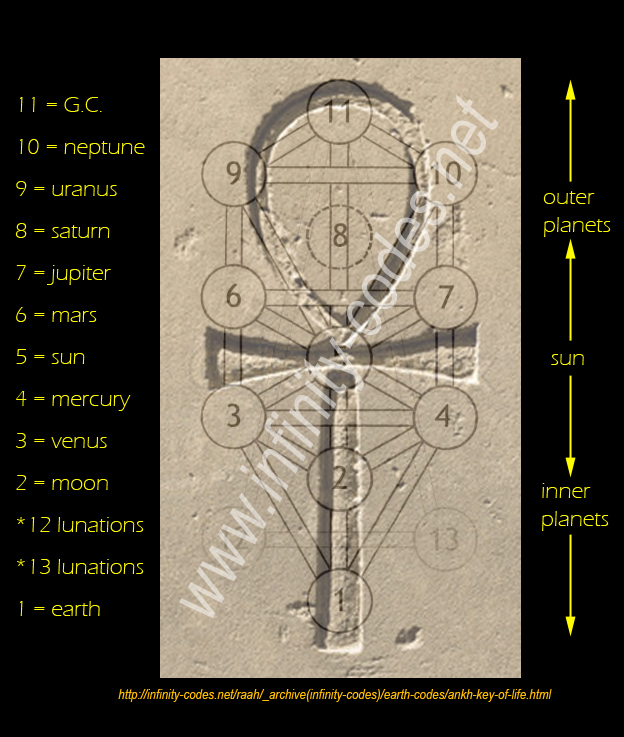 This further confirms this arrangement of the spheres, and has always inspired me to look as deep as I can into the true symbologies of the magical systems, with sacred intent !